Unsubscribing is part and parcel of email marketing. As hard as it may be accept, it’s important to realise that no matter how much effort goes into your emails, some customers may eventually have had enough. By letting people go, you’re protecting yourself from complaints and other issues which might be a much bigger problem in the long run than just a shrinking list. As much as I’d like to buy every hot new type of TV they dream up, realistically I’m probably only in the market for a new TV once every five years. That doesn’t mean I might not be interested in a fancy new AV receiver to get the most out of current TV. 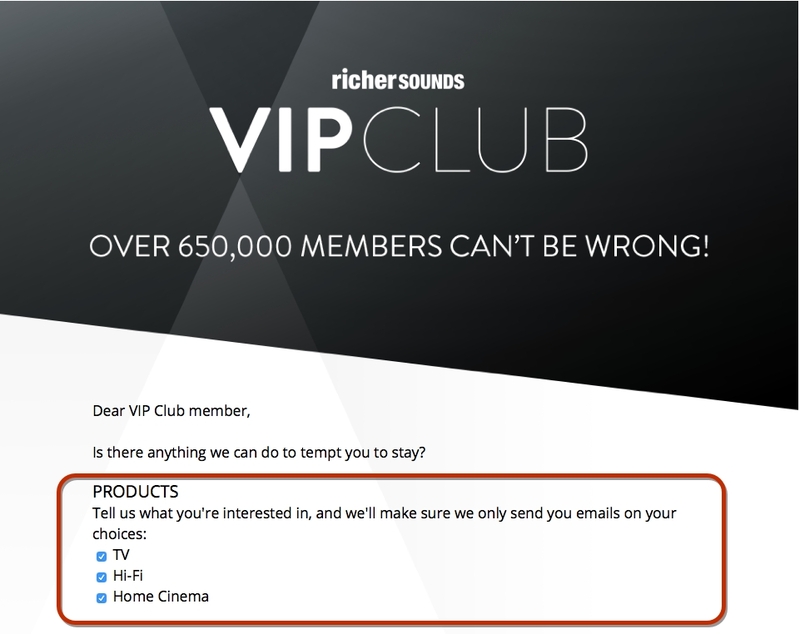 Richer Sounds allows its customers to choose which product categories they’re interested in, which makes a lot of sense considering their product offering. Too much, too often can often put off subscribers, especially in the build up to the holiday season when everyone’s email activity raises sharply. 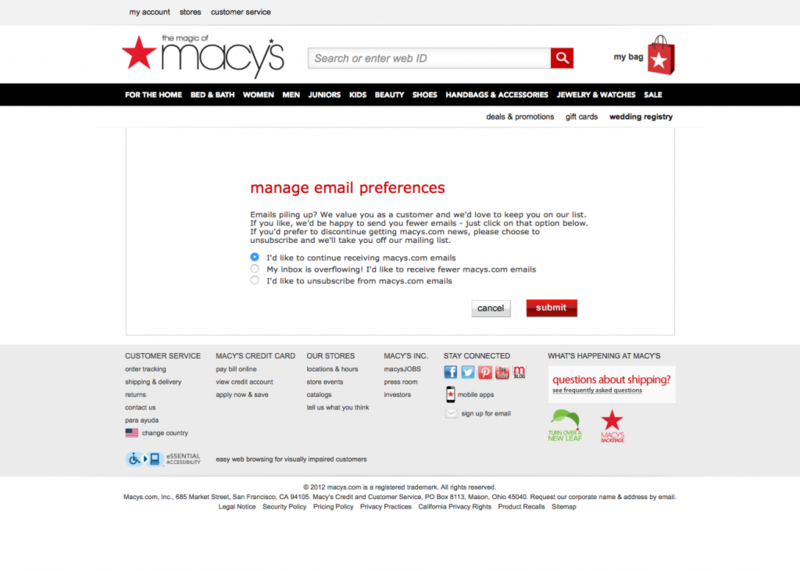 Macy’s gives their subscribers the choice of reducing the number of emails they receive, rather than just unsubscribing outright. Most companies send a variety of different types of communications and it would be a shame to lose a subscriber due to fatigue from one too many marketing emails. 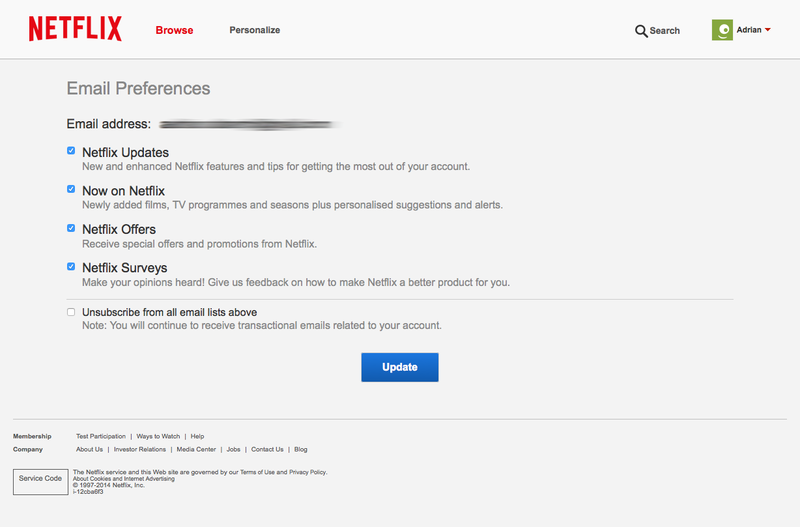 Allow subscribers to select which types of messages are important to them. Netflix has a great example of this. Maybe emails are just not the right fit. Some consumers may prefer the dip in and out nature offered by social media networks versus the time taken to tame an inbox. 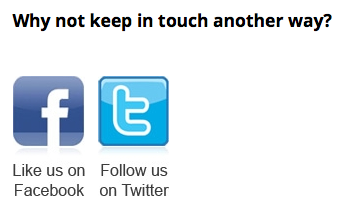 Make sure you promote your social media accounts on your unsubscribe page as an alternative to your email activity. As with anything, a little humour goes a long way. Even in unsubscribe pages! Using a light-hearted tone in your copy or including a funny video on your unsubscribe page may restore some goodwill from a disgruntled subscriber. Groupon’s sadly defunct “Punish Derrick” and Hubspot’s internet-winning “Let’s stay friends” unsubscribe pages deserve special mention and are the best examples I’ve seen to date. Make sure you check out both! 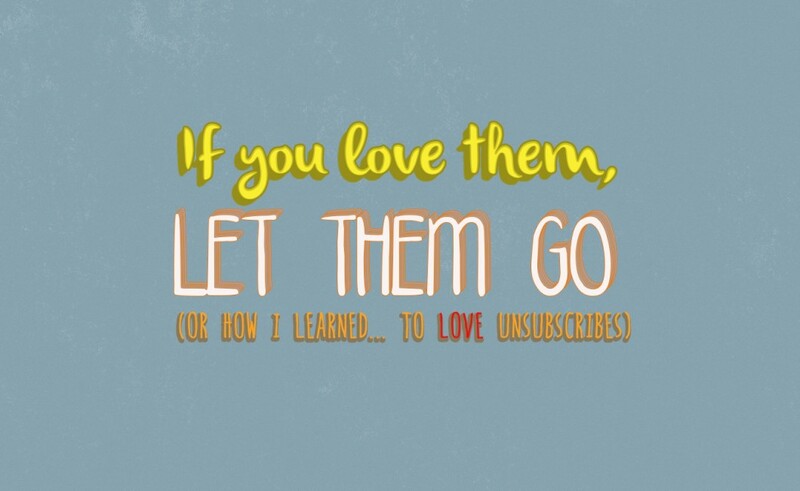 Hopefully I’ve given you some ideas of how to make the most of you unsubscribes. If you’ve seen any great examples of anything mentioned here, or perhaps have some ideas I’ve missed, let me know in the comments below or on twitter.